If you are the professional responsible for your businesses sales programs and results, then the Chamber Sales Professionals Roundtable is for you. If you are like most, you face challenges every day, but if you don't have someone to turn to for guidance, you have to take risks and make decisions, perhaps in isolation. Your challenge might be sales oriented, business oriented or personal. Working with your peers from another organization can provide you with new ideas and new solutions. The Sales Roundtable will enable you to brainstorm on compensation plans, marketing strategies, successful social media campaigns or whatever the group identifies as the "urgent and important topic of the day." Why does the Peer-to-Peer approach work? The structure ensures a balanced discussion, promotes constructive idea exchange and is based on experience, not advice. Need to read more? Try this: http://edwardlowe.org/15532/. 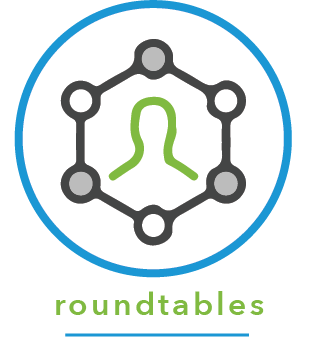 Bring your own lunch and experience the Sales Professionals Roundtable for yourself from 11:45 a.m. - 1:15 p.m. at Sheboygan County Chamber. The topic will be determined by you! If you request a topic in advance, that might be what we discuss. Do you have suggestions? Please send an email to john@sheboygan.org or register here. There is no cost to participate. This is a benefit of Chamber membership.